They'll play at the Main Stage of the Rock in Rio festival this September. By Bryanna Cappadona·	 2/14/2015, 8:24 p.m.
Rolling Stone reported interesting news on Saturday: The Hollywood Vampires are making a comeback thanks to rocker Alice Cooper’s doing, and Aerosmith guitarist Joe Perry and Hollywood actor Johnny Depp are in on it. The original Hollywood Vampires was formed by Cooper in the ’70s with John Lennon, Harry Nilsson, Keith Moon, and Ringo Starr, but according to Cooper’s announcement via Instagram, the band’s revival will be a new supergroup—and is making its debut at a top level gig. The band is set to play at the Main Stage of the Rock in Rio festival toward the end of September on the same night as Queens of the Stone Age and System of a Down. Rock in Rio’s website also claims the supergroup recorded an album together. Perry might be an obvious selection for the band considering his notoriety, but Johnny Depp is actually a lesser known “rock enthusiast,” and proves to be as talented with a guitar as he is in front of a camera. He performed with Cooper multiple times since they worked together on Tim Burton’s Dark Shadows. He’s known to have played with Marilyn Manson, Willie Nelson, Paul McCartney, and also with Aerosmith in Mansfield last summer. 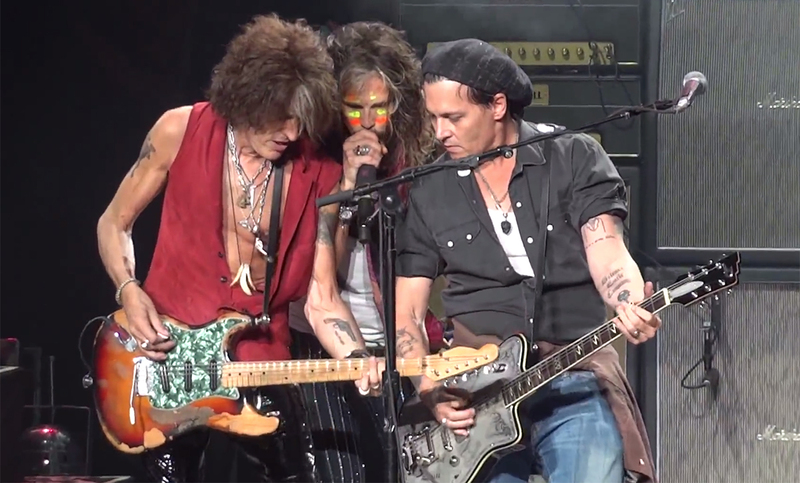 Rolling Stone reported that Depp contributed vocals to Aerosmith’s Music From Another Dimension, which is allegedly how Joe Perry was tied into the band.